This monthly workshop includes a goody bag of fun items to use during the retreat and beyond! Once you take the retreat, come every month to create and share your stories of God in your life! 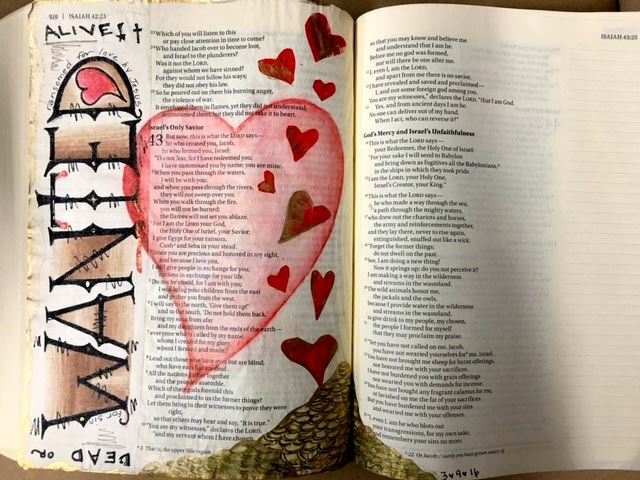 This Bible Journaling Monthly Share is FREE and a blend of both ART & HEART (encouragement). Come be part of this regular group and get to know each other -- whether you have something to share or not! Be uplifted and get ideas for using art to stay close to God.